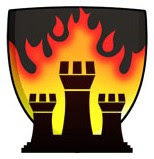 The Knights of Castle Kimbark: Is the Internet Killing “Real” Chess? From the northern suburbs of New York City, the epicenter of American chess, comes a cri de coeur from veteran tournament player Polly Wright, who laments the decline of two local chess clubs in her area. According to Polly, the culprit is the Internet, which has made it so easy to play online that fewer people are venturing out to chess clubs. It’s not the first time the Internet has been linked to the downfall of over-the-board (OTB) chess. Glenn Panner sees the trend here in the Chicago area, Jack Le Moine raised the issue in a forum on Susan Polgar’s blog, and someone named The Parrot claimed as long ago as 2004 that the Net had killed adult OTB chess. Two summers ago I chatted with some of the regulars at the North Avenue Chess Pavilion about this. These were players who had been going there for years, and some of them were convinced that the Internet was hurting attendance at the popular lakefront chess venue. I too have mixed feelings. The Internet is a great boon to chess. It enables anyone with online access to play anytime of the day or night, something that would have been impossible in the past. I play at several Web sites, and I enjoy it. Yet as seems to happen with so many technologies that improve our lives in certain respects, the Internet also “bites back,” as it were, triggering unintended adverse consequences that make things worse in other respects. The problem isn’t limited to chess: We humans are simply better at developing new technologies than we are at controlling those technologies and making sure they serve our conscious and considered human needs. No one wants the Internet to hurt traditional chess, yet it may be doing just that, and our prospects for reversing the trend don’t look good at the moment. What do you think? Feel free to leave comments below. Postscript I. I haven’t been following the World Youth Chess Championships in Turkey, where a number of American kids are competing and holding their own. Fortunately, Chessdad64 is covering it, so I don’t have to. 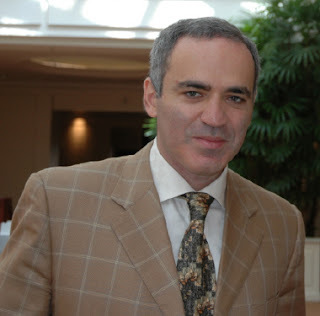 Postscript II: The whole world is watching as Garry Kasparov remains in custody in Moscow. In an unusual twist that has his wife and mother extremely worried, his jailers have not allowed anyone to visit him. To paraphrase Tom Lehrer: Garry’s family gets worried, I get worried. See our previous post about how to contact the Russian consulate in New York to lodge a protest. The Other Russia and Mig Greengard’s blog seem to be the places to go for updates. My comment toward those anti-Internet proponents may be a bit rough, but here it goes: "DEAL WITH IT!" Seriously though, there are so many who complain about technology hurting business. I just pre-ordered an ebook reader called the Amazon Kindle (I wrote a bit on my blog about it) and some of the commenters on Amazon's review site is astonishing. One reader said that he loved the feel, texture, and the smell of books and hates the idea of ebooks. Smell? Really? Remember when we all lamented email? "Oh no. I like sending/receiving REAL mail, seeing REAL ink, etc." Now look at all of us. The same can be said for many other advances. So I go back to my first statement: "DEAL WITH IT!" If chess clubs want to stay in business, invest in technology for your club. Have an Internet cafe of sorts in your club, 5-10 or more computers that are networked, and allow people to play that way. Charge for the convenience to get back some of the cost. Invest in electronic move recorders. Get a website for your club. Take video and put it on Youtube or other services. Invest in a projector and put some puzzles on the screen to be solved. I guess my point is that businesses must keep current. We can't use the same structure that worked 10, 20, or even 50 years ago, especially for chess. The Internet and tech in general isn't going anywhere, and businesses must either adapt, or die.